← How Is Physical Therapy Important, Especially for Seniors? There are cases where the symptoms of a whiplash do not show up immediately. That is why it is important to observe yourself after getting into an accident. Additionally, you can expect discomfort and long term pain if you do not receive treatment and rehab for this injury as soon as possible. Just like any other area in health care in California, it is important to get a diagnosis as soon as possible. This way, complications such as chronic headaches can be avoided. During the diagnosis, the doctor will ask more detail about the accident as well as your symptoms. Physical exams will also be conducted to determine obvious signs of an injury. To determine damages on nerves, soft tissues or the spinal cord, other tests will have to be conducted such as an MRI and CT scan. Various options are available to treat a whiplash injury. These include OTC pain medications for minor injuries or prescription painkillers for severe ones. 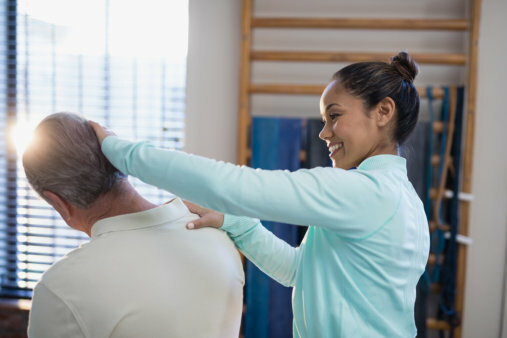 Taking advantage of physical therapy services in San Jose, California is also crucial in recovering from this type of injury. Massages can also form part of treatment. The doctor will determine the best course of treatment for your situation. The recovery time for a whiplash injury may vary. It can last for a few days to even several weeks. Full recovery can be achieved within three months. Pros In Rehab handles cases involving whiplash injuries with great care. The expertise and experiences of our staff enable us to provide you with the treatment suitable for your situation. Call us today! Has this post reminded you of a friend or loved one? Share this to them then. This entry was posted in Healthcare and tagged Accident, Physical Exams, Whiplash Injuries. Bookmark the permalink.